New World Library, 9781608684731, 368pp. Modern parenting presents fresh challenges, including unrelenting time pressures, lack of support systems, and work demands, that often leave parents drained and worn-out. Erin Leyba, the mother of three young children, has been counseling parents on these issues for almost twenty years. She has developed techniques that help parents not only cope but also feel joy -- in their parenting and in their relationships with their partners. 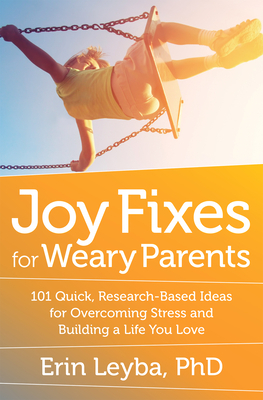 Leyba draws from the latest research about child development, attachment, successful marriages, and mindfulness to create effective, doable solutions for balancing, simplifying, and communicating. She presents powerful tools that parents can use right away to de-stress, stay energized, and create more warmth and passion with loved ones. Whether new, veteran, overwhelmed, exhausted, or just interested in doing better than they are, parents will find proven help here. Erin Leyba, PhD, an individual and marriage counselor, specializes in helping parents of young children. In addition to her popular blogs, she speaks often to parenting and childcare groups. Leyba lives in the Chicago area.